It’s been quite a while since I’ve reviewed a book here, mainly because I haven’t been able to read much over the past 8 months due to issues with my eyes due to my GBS. But I knew that as soon as I could read, The Stalker Chronicles by Carley Moore would be the first off the stack. Carley is my wife’s cousin. I’ve met her a couple of times in the almost 10 years that I’ve known my wife. She’s absolutely delightful. Apparently, my wife and her were quite the pair back in their younger days. So I couldn’t not read this, even though it isn’t in the genre I typically read. First, I must say, this book has one of the most apt covers I’ve ever seen. Whoever did the artwork created an impeccable match for the story, and an absolutely brilliant design. Before you even open the book, you have a pretty good idea of what is coming. Cammie Bliss is a sophomore in high school who has a problem. She can’t seem to stop stalking the people she likes. And that habit has earned her a reputation in her high school, and, in fact, throughout the small town of Lakewood, NY where she lives. When a new boy, Toby Waxman, moves to town, he is one of the few who doesn’t know about her past. But since he’s cute, and doesn’t blow her off like all the other boys do, he’s bound to find out… the hard way. 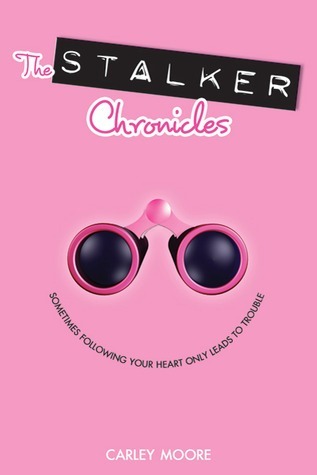 At 230 pages, The Stalker Chronicles a quick, enjoyable read, and I highly recommend it. It’s like a teenage version of a Stephanie Plum book… not that I read those… Dude, I was just bringing them home for my wife. This sounds like a fun read, and fun simply can’t be overrated. I’m going to look for this book. And, ahem, I bet your wife and Carley are still quite the pair!